Whole food is your foundation for a healthy, fertile body. What you eat is as important as any other single thing you do for your fertility. Every time you eat, you can do something amazing for your reproductive system. Wild King and Sockeye salmon are your best choice for high Omega 3 essential fatty acids. Farmed salmon have much lower levels, due to their diets of GMO corn and soy. The essential fats in wild salmon can be especially nourishing for women with low cervical mucus or who suffer from vaginal dryness. Wild salmon is also a good source of iron and is supportive of healthy endometrial lining thickness, which is important for embryo implantation. 3. Full-fat, organic yogurt: While low-fat dairy can be a fertility blocker, full-fat dairy products boost fertility. Harvard School of Public Health research shows eating whole fat-dairy supports normal ovulation. Full-fat yogurt is an excellent protein source for fertility. Protein-based amino acids are the building blocks for healthy cells in the body. Further, yogurt contains probiotics to support healthy vaginal flora. (Vaginal infections can put a real damper on fertility efforts. Eating and applying yogurt can be a godsend for this issue.) Choosing organic, full-fat yogurt is your best choice to avoid growth hormones and chemicals present in conventional dairy. 4. Yams: In this discussion, I’m referring to sweet potato yams, not the fertility herb, Wild Yam (Dioscorea villosa). 5. Berries: Raspberry, blueberry, and blackberry are all stars for fertility. They are extremely high sources of antioxidants for egg and sperm health. 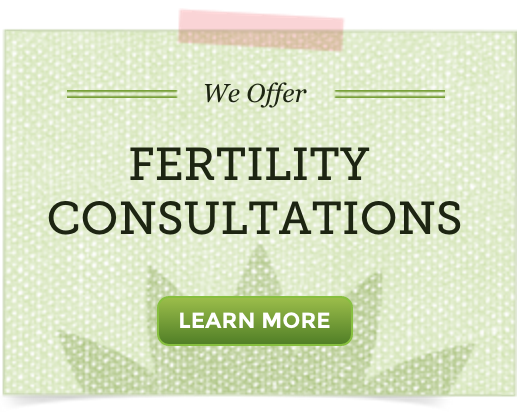 This is especially important for older men and women who want to conceive. Further, berries have sugar-regulating activity, which may help women with PCOS. Conventionally grown berries are heavily sprayed with pesticides, and their thin skin allows more chemicals to penetrate the fruit. Choose organic berries for your Natural Fertility Diet. 6. Organic seaweed: Seaweeds are some of the most nutritionally dense foods on the planet. They are high in vitamins A, C, E, B1, B2, B6 and B12, critical for immune response and fertility. Algin in seaweed can protect the body from toxins that can affect fertility, including heavy metals and radiation. Algin binds to toxins in the GI tract, so they pass through the body unabsorbed. Try a few of these foods in your Natural Fertility Diet. They are all delicious, widely available, and easy to cook with. Organic is the way to go whenever possible for a fertility program. You can avoid many fertility pitfalls just by choosing organic and eating a whole foods diet. I am so confused about dairy. I read things that a full fat, organic serving a day is great for fertility and then other things that say dairy is terrible for fertility and if you have been diagnosed with unexplained, like me, you should cut it out. As a vegetarian, it is hard for me to cut out all dairy and I am just confused by all the different opinions. Any help would be appreciated. Thank you. We feel limited amounts of full-fat, organic and grass-fed dairy (raw is best) is fine for most women to consume, even those with unexplained infertility. That said, it may be best to avoid or limit by women who have PCOS and endometriosis. There are many varying opinions on the health benefits of dairy, that is for sure! I stumble across your videos last night and I think they are absolutely helpful and amazing. I was doing some research on PCOS as I recently discovered I have this condition and had no idea what it was at the time. Bear in mind I am 24 years old and not sexually activate at all. Ever since pubity I always had irregular periods, but since November I stopped seeing my period for 5 months so I started using a progestrone cream. What do you think I should do to help overcome PCOS so I am prepared for future conception? Thank you for reaching out to us! It is good that you are still young and desire to improve your health now! Good for you 🙂 First, we don’t recommend using progesterone cream, unless you know for sure you are progesterone deficient through a hormone test.